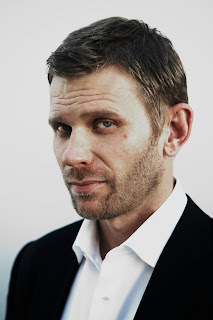 A: When I spoke with series star Mark Pellegrino (pictured left, photo credit: Eric Williams) recently, he told me: “I think what sets this show apart is its literal humanity. It’s not like it’s a romance novel — it’s people who have very serious issues that they’re contending with. I think the title, ‘Being Human,’ says it all. For these characters, being human is not just about assimilating, but also dealing with character flaws. Everybody has to deal with their character flaws, and for these characters it’s literal monsters within them that they have to control and battle with. “What I think makes it unique as well is that it’s not just scary and it’s not just funny or a combination of all those great elements, but it’s also a story about family. I don’t think you get that so much from the other vampire/werewolf stuff.” You can catch the premiere of “Being Human” on Monday, Jan. 17, at 9/8c on Syfy. Q: How is Shania Twain doing? I know she went through a rough divorce a while back. — Ginger F., Ocala, Fla.
A: Shania’s heart is mending just fine — thanks to new husband Frederic Thiebaud (they were married in a sunset ceremony on New Year's Day in the Caribbean). She and former hubby, Robert John “Mutt” Lange, separated in 2008 (with the divorce becoming finalized this past June) when Mutt left her for her former best friend, Marie-Anne Thiebaud. And yes, you are reading that last name correctly: Shania decided to mend her broken heart with the help of her former friend’s husband. A: While Bradley has lots of movies in the hopper, the movie he has coming out in March, called “Limitless,” with Robert DeNiro, looks promising. Bradley stars as a ne’er-do-well who takes medication to unlock the 80 percent of his brain that humans don’t use in order to improve his life, career and bank account, with some negative effects. A: Syfy announced in mid-December that “SGU” will be canceled after this season ends. Initial viewing numbers had dropped off from its first season to its second, which is mainly due to Syfy changing “SGU” from Friday to Tuesday nights, landing it right up against ABC’s powerhouse “Dancing With the Stars.” Another aspect of Syfy’s handling of the show that doesn’t sit right with me: A lot of the cast found out the show had been canceled via the show's fans on Twitter. I'm looking forward to checking out "Being Human." I'm a big fan of the UK original.